Cityview Dental Arts was first established in the Bucktown/Wicker Park area in 2003, and since then, our high-quality care and unique approach to service has garnered a lot of attention. 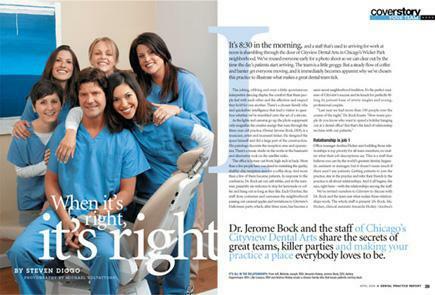 So much so, in fact, that we were actually featured in an article in the Dental Practice Report in April 2006. You can read it below and get an entertaining peek behind the scenes at our practice. We bet it’ll surprise you how much actually goes into creating your dental experience!